OK, I can kinda see having one of those underfoot in a Bolt Action game set in North Africa. Better than a Kingtiger or Jagdtiger, anyway! It was an ok, but not spectacular tank for 1940/41 in the desert, but outclassed by 1942. The Italians didn't have anything better following on unfortunately for them. I'm sure Rubicon will do it justice though. And being their best MBT at the time, they never even sent any to the Eastern Front AFAIK. But they would certainly have been outclassed by most Russian tanks. Tremendously terrible tanks in many ways. Subtle things that never show up in stats can make all the difference: the elevation gearing for the M13's gun was very coarse, so fine range adjustment was impossible. This made it vastly less accurate at longer ranges than the British tanks with their 2-pdrs. The main draw back was the riveted construction . One good shot from a British tank and it could literally fall to bits. Mechanically, however , it was quite good . The model itself looks quite good with the rivets being a scale size which is sometimes lost on smaller scale models. I didn't know that it was used in the Arab Israeli war of 1948. So that's something for me to read up about. Not quite as bad as that, but the rivets could spall. However a lot of contemporary tanks were riveted and it was an ok design for 1940/41 against contemporary British cruiser tanks which had about the same armour and gun hitting power, but were somewhat less reliable. I think ‘40/41 is the sweet spot for desert war games. Everyone's tanks have a reasonable chance of getting kills. No one's airforce is overpowering. Brits get the Matilda, but the Germans have the 88. IIRC the Aussies used some captured M13s for a bit in the early battles of the NA campaign. IIRC they were M11/39's that the Aussies used. The M13/40 was a major improvement over that. Yes that is what I thought, both of those types were captured and used by the Aussies. I really hope this means Rubicon is plotting to release a Semovente 75/18 (basically the Italian StuG, built on the same chassis). 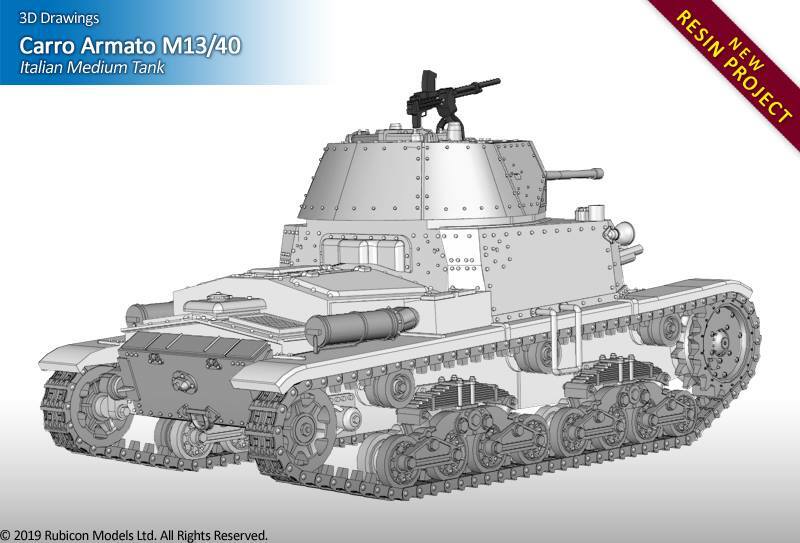 There were not that many of them made – most of the Eyetie tanks in the desert were M14/41 or hybrids of that model with the existing M13/40 chassis. The Aussie use of captured versions ceased entirely after February 1941 and only one tank ever actually went into action as all the other broke down. 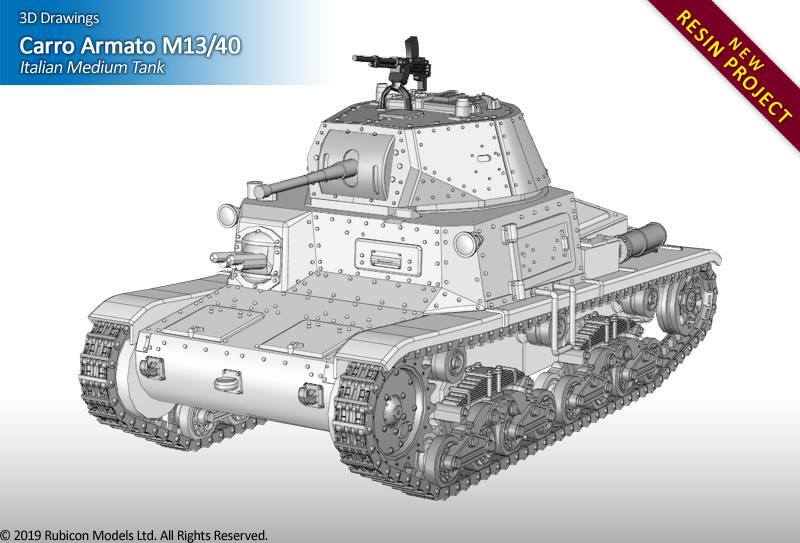 The M13/40 was also used by the British – 6th RTR was almost entirely equipped with the M13/40 tanks that were captured at Beda Fomm and 3rd Hussars also had a squadron of them as well in March 1941 when Rommel attacked. The M13/40s drove around a bit and broke down by the dozen. Not helped by the fact that they had a diesel engine and all the other British tanks were gasoline runners. Yes, I knew they were only used those for a short time by the Aussies. At the time they were "better" than the light AFVs had then. And as we know that many of the Italian AFVs were prone to breaking down as well. And the UK units that used them was only for a short time as too. Nope – for the Aussies in 6th Infantry division the captured M11/39 and M13/40 were better than no tanks, as the only ones issued to the 6th Divisional Cavalry were six Vickers light tanks. 6th Divisional Cavalry was rushed into action and only had about two thirds of the carriers of their normal establishment and the six Vickers Mk VI light tanks. "A" squadron alone pressed the captured eyetie tanks into service. Before using the captured tanks they were using trucks, some of them continued to be mounted in trucks until Operation Compass concluded. Yes, I read that as well. A few Vickers MK.VIs, Bren Carriers and trucks were not really that good of an inventory for a Cav unit. I'd think as I said the M11/39s & M13/40s were a welcomed addition. But as note the 6th Cav was very understrength to start out with. And the Italian vehicles were generally better that what they had. During the 1948 Arab-Israeli War, two or three M13/40s which were left behind in North Africa were incorporated into the Egyptian armed forces. These were used during the Battles of Negba, where one was knocked out and subsequently captured by Israeli troops. For a few years after the war, the tank remained in the Negba kibbutz as a monument to the battle. Iraq also used them. I remember coming across an early photo of Saddam Hussein standing next to an M 13/40. I can't locate the photo now. I'm not sure when Iraq received its M 13/40's, but they did have L 3/33's at the time of the very brief Anglo-Iraqi War in May of 1941. Did not know that 3 M13/40s were used in the '48 Arab-Israeli war. I new the Egyptians used some Matildas and Shermans. I know the Arabs/Syrians used R35s too. 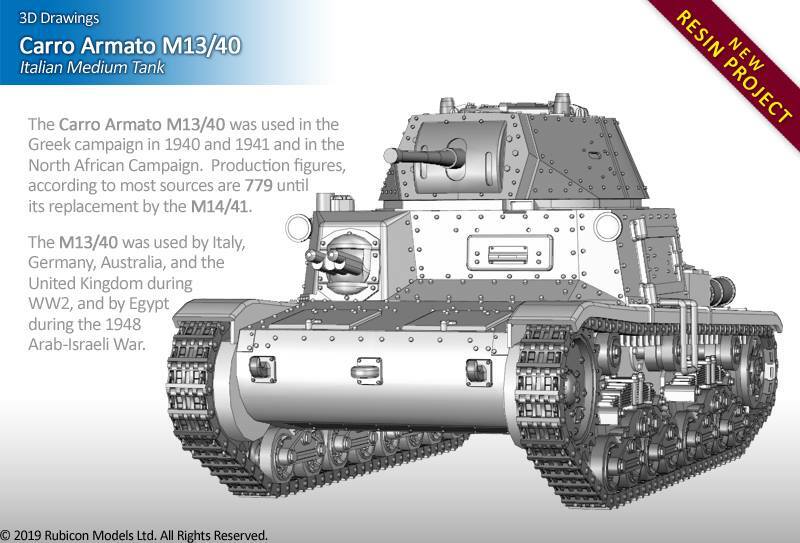 A very interesting bit of history about the M13/40 in Egyptian service in '48. The Egyptians regrouped at 16:00 and attempted a final thrust from the north. Achieving no success, the Egyptians retreated at 18:00, leaving behind one tank (a Fiat M13/40) and four Bren carriers. Israel estimated Egyptian losses at 300 killed and wounded. The Israeli casualties were 5 killed and 16 wounded. The aforementioned M13/40 tank that was abandoned by its crew during the battle was the subject of a skirmish and a controversy. At night after their retreat, Egyptian forces tried to pull it back to their own lines, but an Israeli sapper had managed to mine the tank's surroundings. Several days later, an IDF armored serviceman helped rescue the tank and took it for repairs and reuse. The residents of Negba demanded an alternative tank as a war trophy, and five years later they were granted an M22 Locust. Although it lacked a gun barrel, one was attached by the Armored Corps, and the tank has remained in Negba since. I do remember some M22s in the Egyptian armor inventory at. A larger number of Locusts served with the Egyptian Army, replacing a number of older tank models, such as the Vickers-Armstrong Mark V light tank, that the Egyptian military had acquired during the interwar period. Several company-sized units of Locusts were used by the Egyptians during the 1948 Arab–Israeli War.